The instructions below are designed for PowerPoint 2003 - but apply similarly to 2007. 1) Save your PowerPoint presentation and the required MOV file in the same directory. 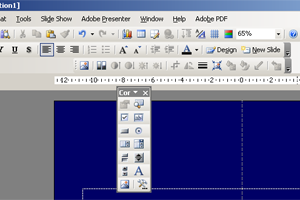 2) View the control toolbox A (view, toolbars, control toolbox) and click on more controls B. 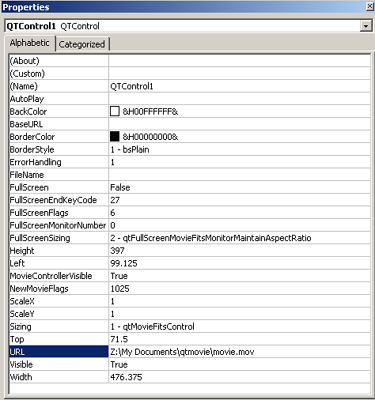 3) From the list that appears, C select "Apple QuickTime Control 2.0" . 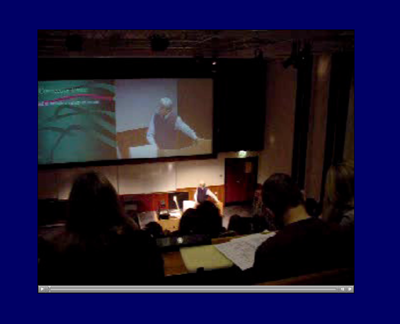 4) A crosshair appears, D - click and drag to the size of window you require for the movie. This can be changed later. 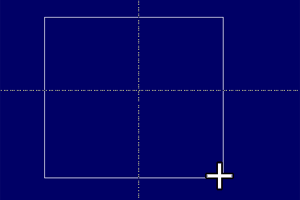 Right click within the area you have drawn and select properties. 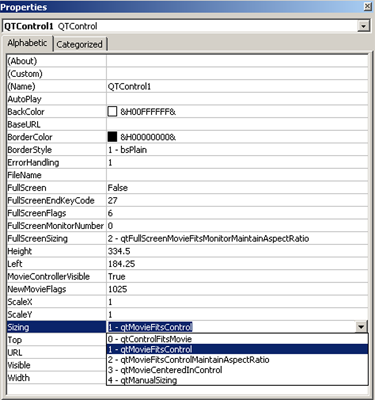 5) The QTControl properties window appears E. Click in the row "sizing" and from the drop down menu that appears select option one, "qtMovieFitsControl". 6) In the same properties window, in the row URL type the address of the movie. This must be an absolute path "Z:\MyDocuments\qtmovie\movie.mov" as in example F, rather than a relative path "movie.mov" Beware of differences in drive letters on machines. You may have a home machine set up with the hard drive as "C" and DVD/CD drive as" D" but a networked machine within this university would have the hard drive as "D" and maybe the DVD as "E"
7) Close the properties box and save your presentation.